Birmingham, AL -- Patricia can’t afford health insurance like most Americans who are unemployed. Her situation is made worse because she suffers from diabetes and cannot afford to see a doctor. Luckily, she attends church with one of the owners of Slim Spa Medical and they offered to donate a 50 Day HCG diet program. However, because her blood sugar was consistently reading between 300 - 400 and as high as 500, Slim Spa Medical’s RN Elise Young advised she get her blood sugar to an acceptable level before she started her HCG diet. Elise recommended a local charitable health service so she can seek treatment for her diabetes. Desperate to get her health back on track, she immediately made an appointment and got Medformin for her diabetes. Soon after taking her meds, her blood sugar dropped to below 200 and she started her HCG diet. Patricia binged for 3 days as she started her HCG diet to stock up on reserve fat as she was introducing the HCG spray into her body. Slim Spa Medical explained this is necessary before one starts a low calorie diet outlined by the program. She lost 14 lbs. in her 1st week and she couldn’t believe the results considering she did no exercise. And she got additional good news as her blood sugar dropped below 100. Patricia is astounded considering about 18 months ago she was in a similar situation and when she restarted her diabetes meds she gained 15 lbs. That’s because her doctor explained her blood sugar meds were depositing sugar into her tissues thus creating fat and weight gain. 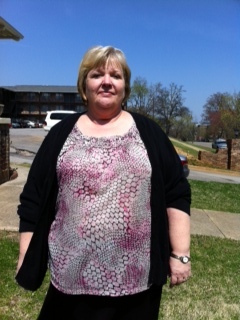 In her 2nd week on her Birmingham weight loss program, she’s down 18 lbs. and her blood sugar has read as low as 86 which she could not believe because that’s below normal blood sugar. She checked it again and it read just above 100 (blood sugar readings fluctuate). So instead of gaining 15 lbs. restarting diabetes meds, she lost 18 lbs. in 2 weeks with her meds and Slim Spa Medical’s HCG Diet. She can’t wait to see how much she’ll lose by the end of their program. 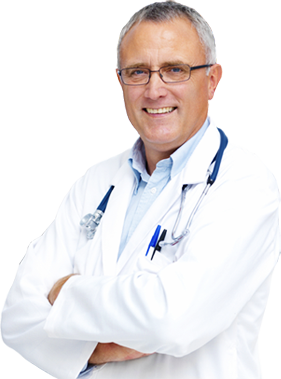 Slim Spa Medical offers a medically supervised HCG diet and their RN’s follow up with their patients weekly via telephone to update their medical charts. 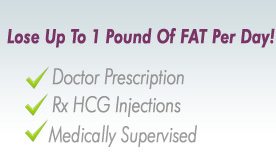 If you suffer from overweight or obesity call 800-208-6533 and get your HCG diet questions answered.